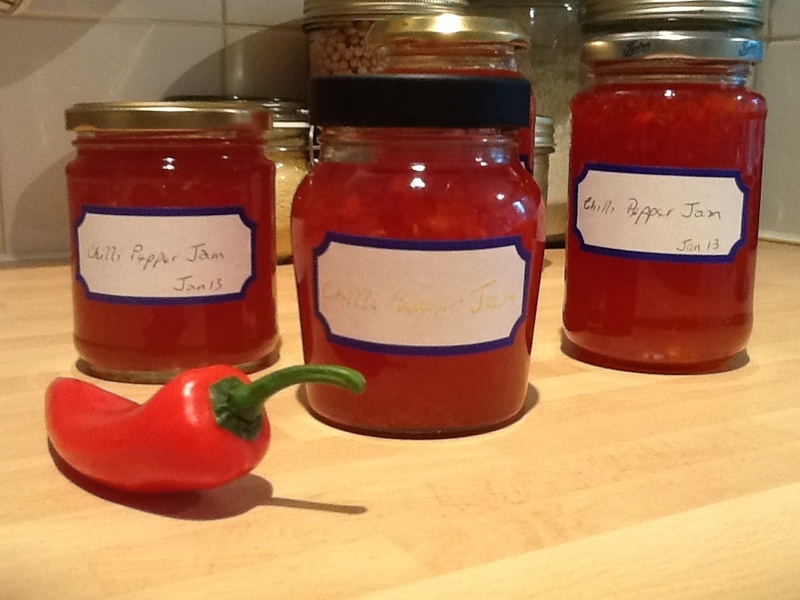 We love chillies and after trying a chilli jam in a cafe with sun-dried tomato scones and cheese I decided to have a go myself. This is a very simple recipe and I hadn’t made it for a while until a fellow blogger asked if she could include the recipe on her website so I am stocked up again! 1. 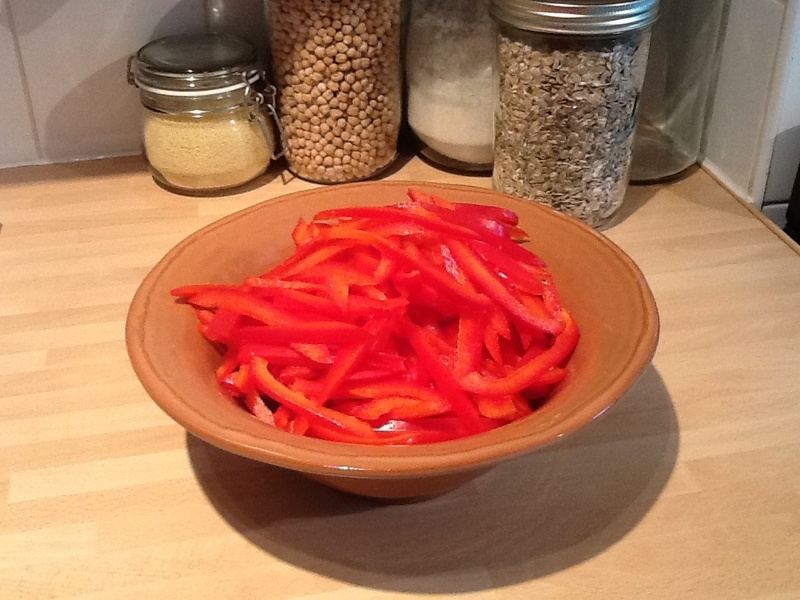 Finely chop the peppers, chillies and ginger or blitz in a processor with is much quicker! 2. 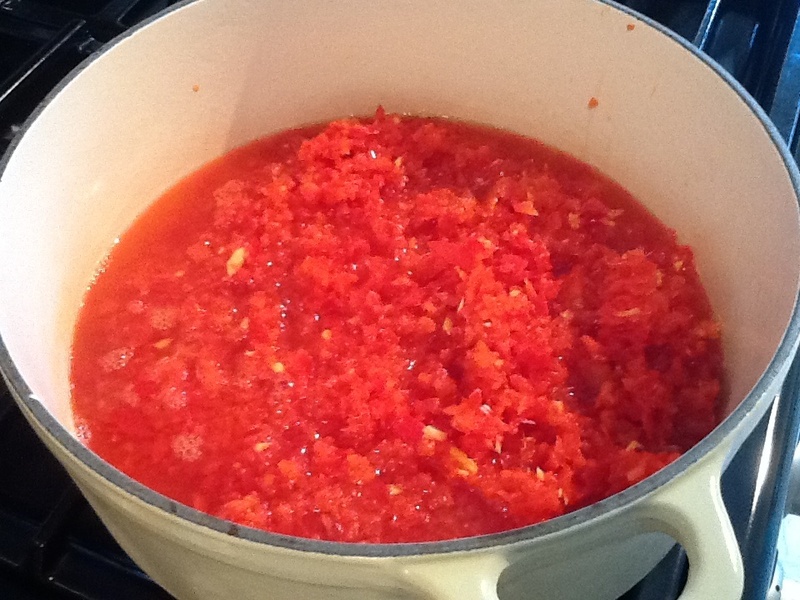 Place in large pan with the vinegar and slowly bring to simmering point. 3. Add sugar, lime juice and salt stirring until all the sugar has dissolved and the mixture begins to bubble. 4. Boil for 3-4 minutes and then remove from the heat. 5. Cool for 5 minutes then pour into clean, sterilised jars and seal with vinegar proof lids.